A Valencia spanish onion or two is also an addition to this share from Monday. This is probably the last of the tomatoes from the field, though you may see some green tomatoes next week. And you may see a tomato or two from the hoop house pop into the shares later on, as they are still slowly ripening up in there. 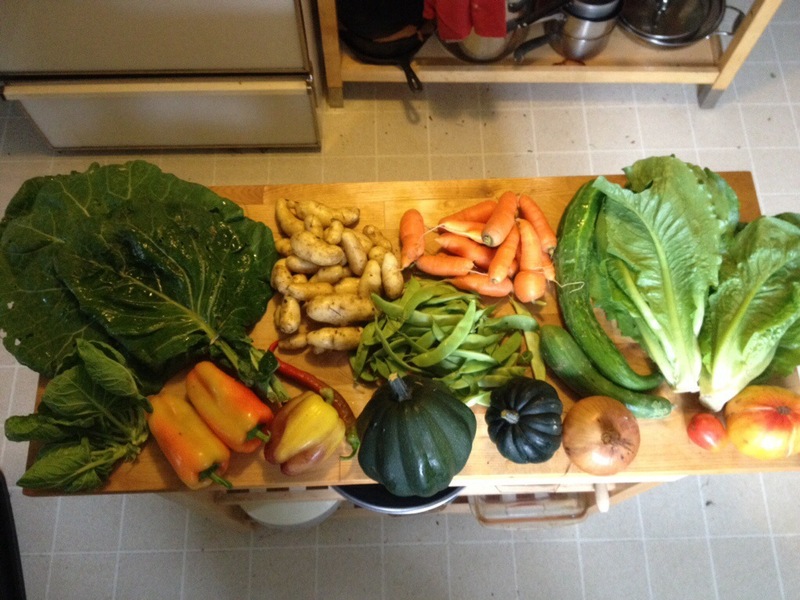 Today I plan to pull as much winter squash out of the field as I can, to get it out of contact with the wet cold soil. It will store in my basement with a fan and dehumidifier at about 60 degrees and 65-70% relative humidity. Most mature winter squash will store fine for at least a month (if not many) in your room temperature house, so no need to worry about using it up in one week. Also on the docket is mowing down crops (and weeds) in beds that are done for the season, then tilling the residue in, and then seeding cover crops into those beds. Cover crops I use are crimson clover, fava beans (aka broad beans), cereal rye, and vetch. They help protect the soil from heavy rains in the winter, break up compacted soil with their roots, and add organic matter and fertility when they are tilled into the soil before spring plantings. They are also known as green manures because they add fertility and organic matter just like adding manure or compost does. 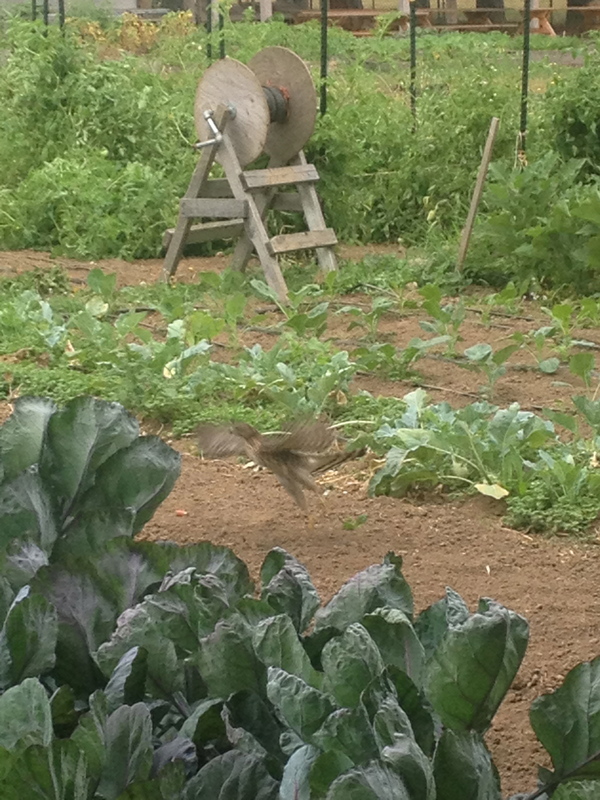 Can you see the hawk taking off from the farm field in this picture?